Abraham is six years old. He was born in Bor. The year Abraham was born, his mother died. Now he, along with his brothers and sisters, attend Wankan Academy in Kenya. Abraham writes: I am still a little boy, however, I will do the necessary things to help my community and country in the future when I graduate from university. Education is the power and I will do everything to help my people later back at home. Abraham is described as very sociable and clever. He makes friends and since he came to school has adjusted very well according to his teachers. John is 16 years old and in the Primary Class 7 section in Wankan Academy. He is an orphan and his uncle is responsible for him. John was born in Bor County of South Sudan and his mother died when he was young. His father is with another spouse and does not provide care for John and his siblings. Rachael attend Wankan Academy in the Primary Class 4. She is 11 years old. She writes: Am a little girl and am not able to contribute to my country, community in any way possible but with current changes am undergoing through education, I hoped to change my community and country for the better. Preschillah is 12 years old and attends Wankan Academy in the Primary Class 4. When Preschillah’s mother was 12 years old she was kidnapped by Nuer raiders and after two years married because she thought she would never be able to get back to her parents.In 2012 she escaped and returned to her parent’s home. 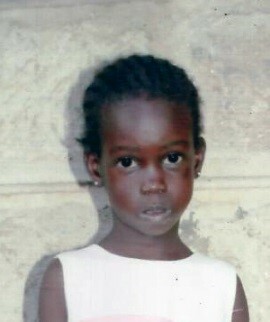 She was pregnant with Preschillah who became a dependent of her grandfather.No financial support is possible from her mother or her stepfather as they are very poor.Preschillah has been cared for at the Wankan Boarding School because SRM supports her in tuition and expenses. Philip is 17 years old and attends Mummy’s Care School in Adjumani, Uganda. He writes: I help my community through activities such as manual work since I have no other capability. As for my country, I will likely help my country in the future after my school. I normally participate in the church through manual work and through participating in dancing for choir in the church. 1) Hardworking. He is very committed boy. 3) Clever, he has been performing well in government school where he first started his learning. Samwel is 20 years old and attends Unity International College in Gulu, Uganda. He is in class 1 in the secondary level. Samwel writes: Am a young poor man, however, am able to contribute in community activities that require manual work. I also help in church activities during my holiday. Am a devoted Christian. I have given my life over to Jesus Christ. Samwel lost his father due to sickness. His mother also cares for five of his siblings. She is a housewife who survives through food aid by USAID through the World Food Program. She is unable to pay for Samwel’s education. SRM supports Samwel with education scholarships. Simon was born in a displacement camp and is now 22 years old. His father died in March of 2018 and he is now supported by his mother and some relatives. He is the first born in his family, followed by seven siblings. There are three boys and four girls in his family. Simon attends the Masindi Academy in Masindi, Uganda. He is in class 4 in the secondary level which means he is a senior and will graduate the end of 2018. Simon is very grateful for the support SRM has provided for him in his education.